Bolean Lake is situated on top of Spa mountain just 10 km off highway 97, in Falkland, BC. Nearby lakes, Arthur and Spa, are only a half mile up the nearby forestry rd. All three lakes yield fantastic wild rainbow trout. The fish seem eager to be caught throughout the whole season. As of 2019, Bolean Lake will be under new ownership and we are excited to move towards a more "family friendly" environment. We will be adding a fenced in play area for the kids as well as a communal fire pit to relax in the evening if your feeling a bit social. We are a, "on leash only pet friendly" campground. We also have plans to make this a year round destination. 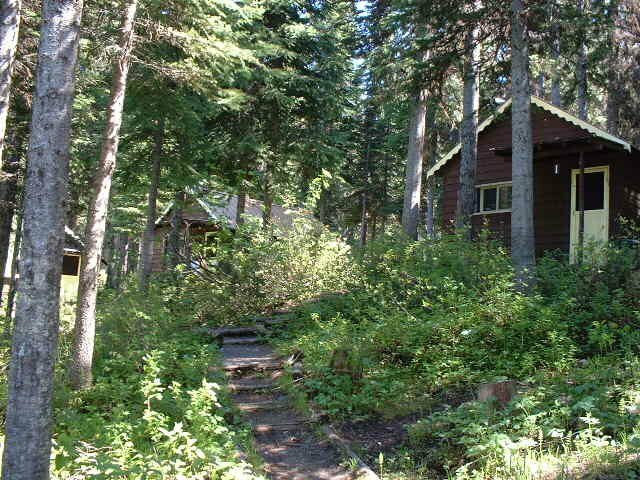 Perfect for sledding, snowshoeing or just to enjoy a cozy cabin in the winter. Book now for the up coming season. The serene quiet of undisturbed nature will add to your enjoyment, whether you are fishing, hunting, mountain biking or just plain old relaxing.